Above menu is a survey of comics with Arthurian connections. Collectors and Comments may contact Rodney at: RodneyFFC@aol.com. List does not contain the full survey of Prince Valiant which we hope that someone will provide for addition to the site and to our visiting collectors. The first Arthurian comic of 2005 was solicited last month for a January release. The series, a quarterly-ongoing series, is called BEYOND AVALON, and features the adventures of Megan, the daughter of King Arthur and an inhabitant of Avalon. The premise is Arthur passes into the misty realms surrounding Avalon, and Megan, armed with Excalibur, follows her father in search of adventure. The series is written by Joe Pruett and illustrated by Goran Sudzuka. Michael A. Torregrossa has begun work on a catalog of Arthurian comics. The project is tentatively entitled "The Arthur of the Comics", and he is looking for individuals who would be willing to write entries for items that have limited availability and access to. The members of the Arthurian Comics Discussion List (especially Alan Stewart, Jason Tondro, and Rodney Parrish) will also be assisting, but there is need of help with older material (pre-1950), comic strips, and items published outside the United States. 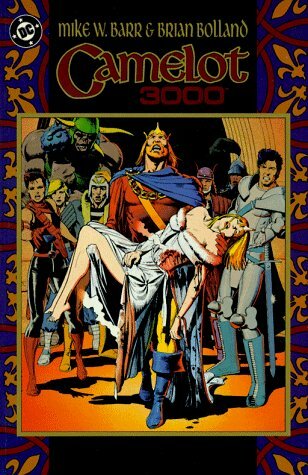 If you'd like to contribute, please sign up for the comics list at <http://groups.yahoo.com/group/arthurian_comixlist>. The group also need contributors to write on film and television series that relate to Arthurian comics. In addition, any suggestions for possible sources of funding to assist in covering permission fees for illustrations would be appreciated. Further details about Arthurian comics and the scope of the corpus, which includes over 1600 comic books and graphic novels and over 3500 individual comic strips (that's just PRINCE VALIANT), can be accessed on THE ARTHURIAN COMICS DISCUSSION LIST HOME PAGE at <http://home.att.net/~torregrossa/> or, soon, from THE MEDIEVAL COMICS PROJECT at <www.MedievalComicsProject.org>. Michael A. Torregrossa, M. A.